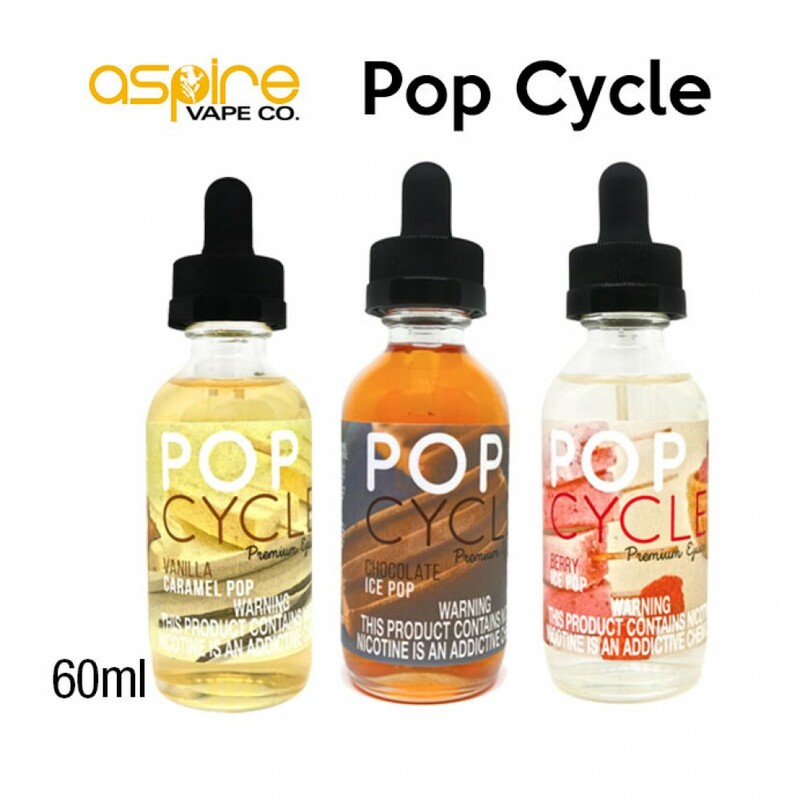 For all the Ice Pop Cycle E Juice lovers out there, you can now fall into our “Pop Cycle” and go a for a wild ride through our mouth water line of Ice Pop Flavors; Vanilla Caramel Pop, Chocolate Ice Pop, and Berry Ice Pop ! 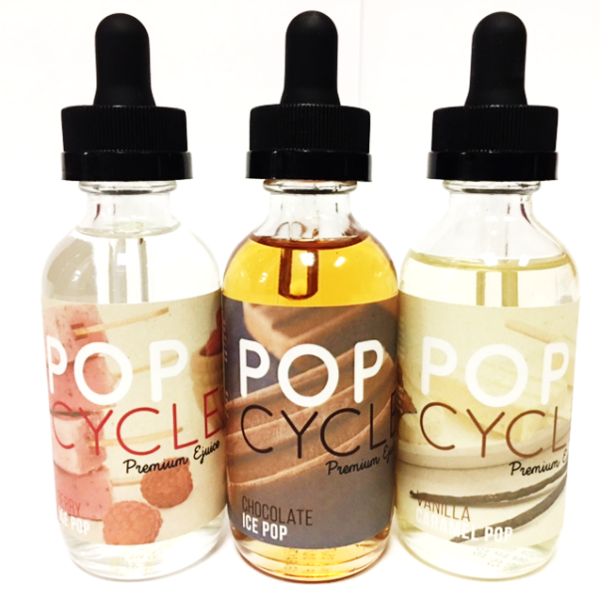 Among best e juice flavors, Chocolate is one of those flavors that is notoriously difficult to get to work right in an EJuice. Many have tried and few have delivered. This is a definite case of delivering. The flavor notes in this juice do remind me a lot of the chocolate from a chocolate ice pop. The overall chocolate flavor also reminds me a lot of those hard chocolate wafers that come in a roll. Mix those two flavors together and you’ve got what I find to be quite an enjoyable vape. There’s also no real cooling sensation from this juice, but I believe that to be a positive thing in this case. It’s not an overly rich, nor really intense, flavor. It stands out without being too bold. A nice gentle chocolate flavor would be the best way I can think to describe it. 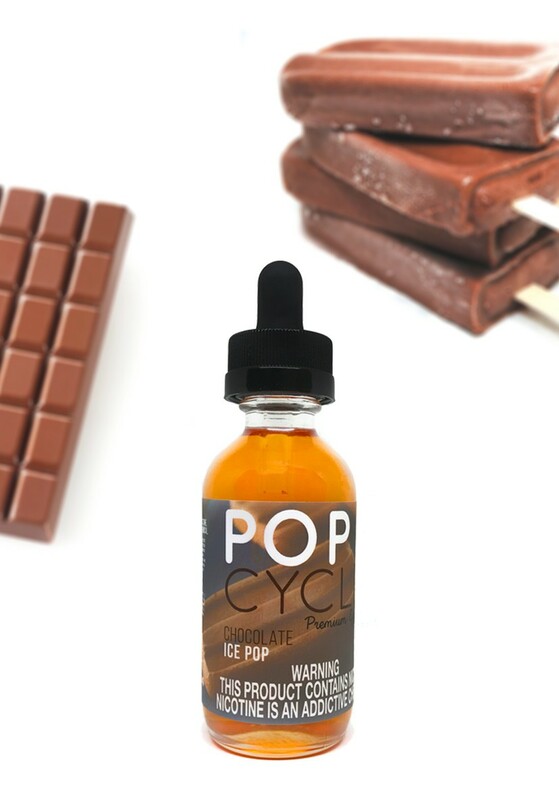 So, if you’re looking to try a chocolate vape, or you’re a fan of chocolate ice pops and/or chocolate wafers, give this juice a try. Thanks for reading this review. I try in my reviews to stay objective, but with juices the subject matter is inherently subjective based on the individual palate. So I tried to devise a newer format that breaks the review down into both objective and subjective. If there are any suggestions any of you have for criteria to be added to (or removed from) this style of reviews please let me know.